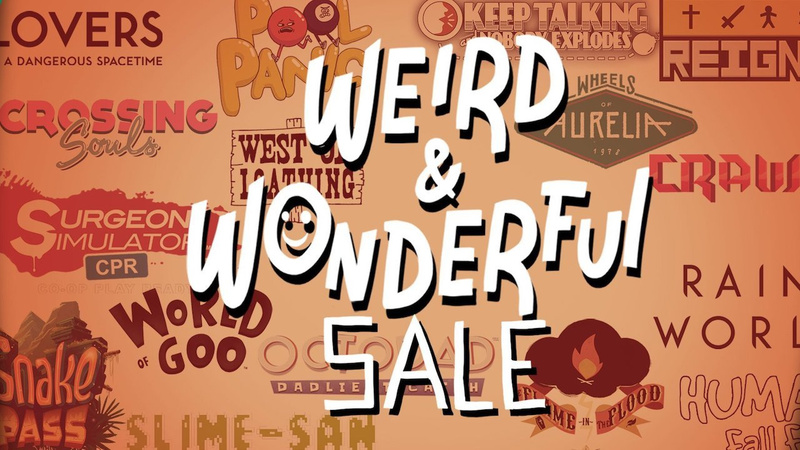 Just last week, Nintendo kicked off a "Weird and Wonderful" sale across a nice little collection of indie favourites on the Switch eShop. With prices slashed to as much as 66% off, you're sure to find a lovely bargain or two to add to your digital collection. In case you missed it, or if you'd just forgotten about it, consider this your timely reminder that the sale ends tonight. This is your last chance to pick up the games at these discounted prices. Make sure to let us know which games you've picked up in the comments, and let other readers know which titles you'd recommend, too! For anyone with a sense of humor, I really recommend West of Loathing. Crossing Souls catches my eye, but I'll wait for a harder sale. Thanks for the reminder. I don't want any of these but there are a couple of games on sale we do want. Ugh, this is really tempting, but I’m saving my eShop money for when I can afford a different weird and wonderful game: Yo-Kai Watch 3! @Lalivero Turns out I don't have humor, because I didn't like it that much. Picked up Pool Panic and Dandara for just a few bucks!! Score one for Nintendo eShop! rainworld, still a bit pricey. I’ve picked up a ton of games on sale recently. Of the games in this particular sale, I got Snake Pass, and I already had The Flame in the Flood. Both are solid, though not spectacular. Worth it at the sale price though, IMO. West of Loathing is solid though I don't know that I will finish it since it's really dragging for me (5 hours in). The combat has felt stale which is causing some of the dragging. I have Pool Panic but haven't played it. Snake Pass was not good to me (only put an hour into it blargh). Dandara was a good game that I completed. The controls take a bit to get used to but once you do it really is pretty good. World of Goo bought on the Wii and loved it. If you haven't played it yet it's a good puzzler. Still waiting for my physical of West of Loathing from Limited Run. I picked up Pool Panic. Looking forward to putting some time into it. If the price is right, I highly recommend Rain World and the excellent West of Loathing. There’s other good stuff, but for me, they are the two standouts. Tried "Keep talking and nobody explodes" on PSVR, how does it work on the Switch? And is it worth the money? One of these days I'll get around to picking up Slime-San. @willgord I have it on my cheap windows tablet and it works great. The buttons, wires, and switches are just touch/tap enabled with a swipe to turn the bomb around. I would assume that the switch version would be similar as you would not play this docked. ...I'm considering getting it again as it is a fun group game.